Now all V one wheels are shipped with special washers. So you won’t have a problem to use them on any trucks. These are made in the same size then the axel. They won’t wobble around and hold you wheels perfectly. Check out the pictures of the new washers. Marcus is back with his well known series “Build a Spot”. He made himself a little street replica to shred on. Video starts with some car driving around and Marcus setting everything up. Like always some great tricks, nice Spot and good editing. So go and watch his new video and sub if you no already have. Go fingerboarding!!! Again a new video from Marcus and Lukas. Now they present Marcus Series “Sunday Ten Special”. On this series they make 10 tricks on a certain ramp. For this video they use a “Harrier Transition Curb/Combo” to do there 10 tricks on. Like always these to guys matches really well and pull out some amazing tricks. Looks like Kylie got a new editing tool. She is testing Sony Vegas 11 with her camera. Looking forward to see the new videos made with Sony Vegas 11. A lot of technical tricks pull out here. So check it out now!!! Marcus went on a 2 day trip to Berlin. Meet some other fellow fingerboards at the Blackriver Store and had a great time. In this Video he shreds the Secret Spot together with Ramon Angelow. The spot looks really sick and Marcus & Ramon put out some amazing tricks. So lean back check out the video and enjoy it !!! The new Pool Decks are out now. 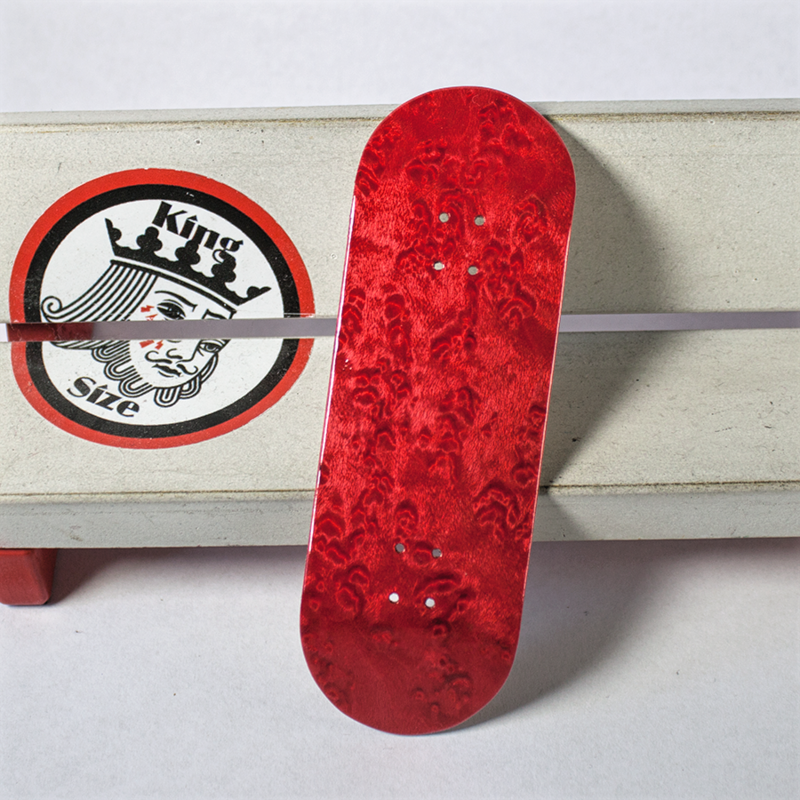 If you want to shred your Pipe this is the right fingerboard for you. Pure cruiser feeling for your fingers. Each fingerboard is handcrafted and made of 4 Plys Maplewood. All Pool Decks are hand marked and then sanded to perfection.